I had my first major accomplishment this year, besides breaking my PR for the 5K, I finished 3rd overall in a race. That race was the Oktober Lauf Fest at Pennypack park. I had signed up for the Oktober Lauf Fest, mostly because I thought this race would be similar to the Sloppy Cuckoo which I had a great time running. 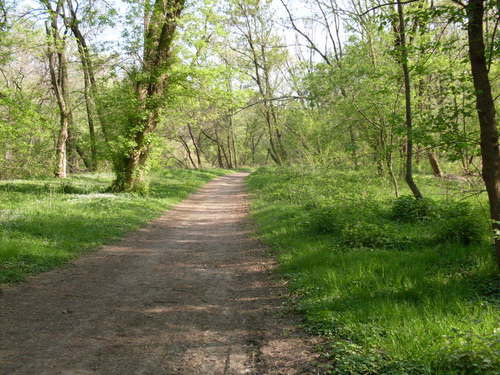 See I've been on the hunt for as many trail runs as I can find in the Philadelphia area. Trail running has become my new love interest. The sloppy cuckoo was 11 miles trail and 2 miles paved bike path. I was expecting the Oktober Lauf Fest to be a similar type of race, it's my fault for not reading the course description well enough. Regardless, this ended up being without a doubt the most unique race/run experience I have had to date. I started off changing my normal plan of attack, instead of trying to sprint ahead of the pack. I let a large herd of people get in front of me, physiologically the feeling of passing people is better then getting passed. Going out slower helped me not get overly excited and I ended up pacing myself properly. The course ended up mostly being run on cinder/loose gravel, but it was a relatively flat course. I was able to catch up to the majority of people in front of me. Passing several groups I finally ended up running with two guys for the majority of the race (Paul Peters and Chris Roberts) . I had headphones on so I didn't talk to them, not like I would be able to hold much of a conversation running a 6:20 - 6:30 pace. So around the 7 mile mark I pulled off my headphones and asked "Do you know how many people are ahead of us"? There response was "two - and one of them is a girl". It was at this point that a new motivation swept over me, realizing that I was fighting for 3rd place overall. I knew at this point I had to do everything I could to hold this position. I stayed directly behind one of the two guys, pacing him as best as I could and just conserving my energy. Having never been in a situation like this I didn't know what to do, at what point should I make a break for it. My legs felt good, I wasn't short of breath and didn't feel like I was giving it everything. I had to make a decision as to what would be the best time to actually push it. Keeping a careful eye on my Garmin GPS watch, I could see we were closing in on the finish. I started to run directly next to the person I was pacing (Paul Peters). Then with a mile a half left I started to push ahead to see if he would keep the pace. I started to maintain a slight lead. It was when I had only a quarter of a mile left I turned to an all out sprint. I took 3rd place overall, and 2nd place male. This is why I like the smaller local races, not only are they cheaper, but they provide a different level of excitement over the larger races. They also provide better food and have a more personal feel. Yes, I know, it's not that large of a race and that's why you did so well. Regardless there was still 164 people, and I still ended up running a 1:26:34 for a half marathon. I will never forget this race. A big thank you to the race director and everyone who helped put this race together. 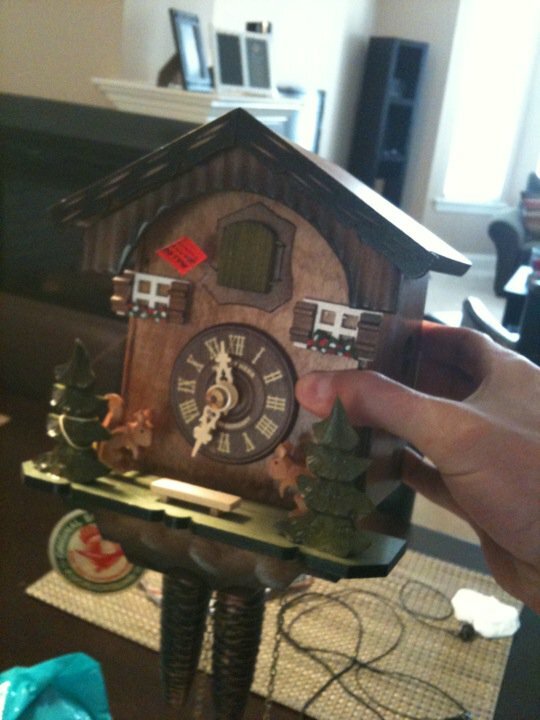 The prize for 3rd place overall was a German cuckoo clock. My new love affair has been trail running, the only issue is that I can't seem to find enough races to participate in that take place on trails. Enter the sloppy cuckoo trail run, when I first found out about the race, I was excited, because I was familiar with the trails from mountain biking there. I knew the terrain couldn't be too technical and it was very similar to where I do most of my trail running. They pride themselves with the largest starting line in PA, which I would have to agree with. The race director was late getting to the start, because he was out on the course setting up the additional aid stations. After he returned, the race started promptly and was off to a frantic start. It didn't take much time for people to get into a line, because you quickly had to form a single line to cross over the bridge and head to the opposite side of the creek. The aid stations had both water and Gatorade. The course was well marked, which I was concerned about it being my first trail run. Most of the time I spent running the trail alone, only occasionally getting passed (17 people total). If I had to run this race again, I would have prepared better with longer distance trail running. Since at the time I was only doing a mix of half trails with hills/half flat trail. The race director had stated that the course was mostly flat, but that wasn't what my Garmin had shown. The food at the finish line was exceptional. They had: cookies, soda, sausage sandwiches, beer, chips, pretzels, and all the types of bad food you want after running a 13 mile race. If you missed out on this race, they are having another half marathon trail race on October 31, which is the "October Lauf Fest". I hope it is the same course as the last. There was only one stream crossing that you had to deal with, which you could almost jump over. I didn't make it to the other side, and one of my shoes did get wet. Had there been more rain, the course would have had a few more of these little streams to cross. I ended up finishing 5th in my age group, so I just missed an age group award. Hopefully I'll do better in the Oktoberfest race. I did receive a nice wooden race whistle that is very useful for annoying my dog. This race was so much fun that I will be sure to enter it every year. If you live in the Philadelphia area, it's definitely worth the trip. Odds are you will be near that mileage anyway if you had done the Rock and Roll 1/2 Marathon in Philly.